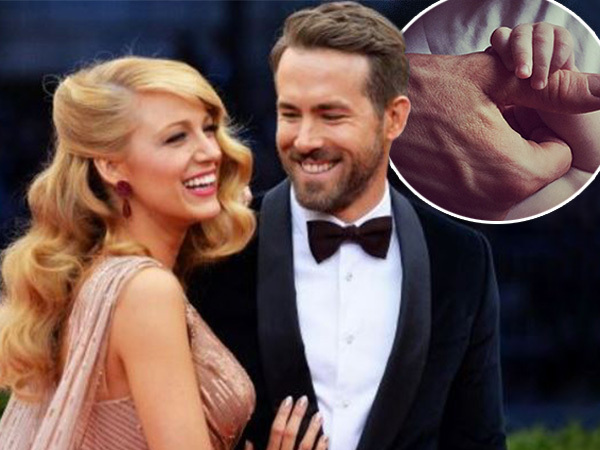 Ryan Reynolds has shared an image of himself “thumb wrestling” with his infant daughter. The 38-year-old Deadpool star and his actress wife Blake Lively welcomed their little girl James in December 2014. And a few days after joining Instagram on May 11, Ryan decided to share a photo of James with fans on the picture-sharing site, the first public picture of their tot. His other half Blake quickly reposted the sweet image and she took the time to welcome her husband to the Instagram community. “...and with that, my husband @vancityreynolds joins Insta (sic),” the 27-year-old wrote in her regram caption. Ryan has recently spoken about how much becoming a parent has transformed his life. The thespian claims baby James has helped him control his temper. "I grew up in a real macho household, I can be a hot-head," he admitted to the German magazine Jolie. "These days, I let my frustrations out through acting. "And yes, I am calmer since my daughter arrived. Fatherhood just does something to you. You're dead tired, but on top of the world." Blake has also gushed about her newfound motherhood. The Age of Adaline leading lady couldn’t be happier with their new addition. "I come from a very close family, and family was always the most important thing in our lives. I always joke that I'm going to have to pay for a lot of therapy later, because I always tell my nieces and nephews that I'm their real birth mother and that I just loaned them to their mom," she laughed to British magazine Look.